Here’s my latest listing of upcoming events, book signings, or cooking classes! Sign up to hang with me! 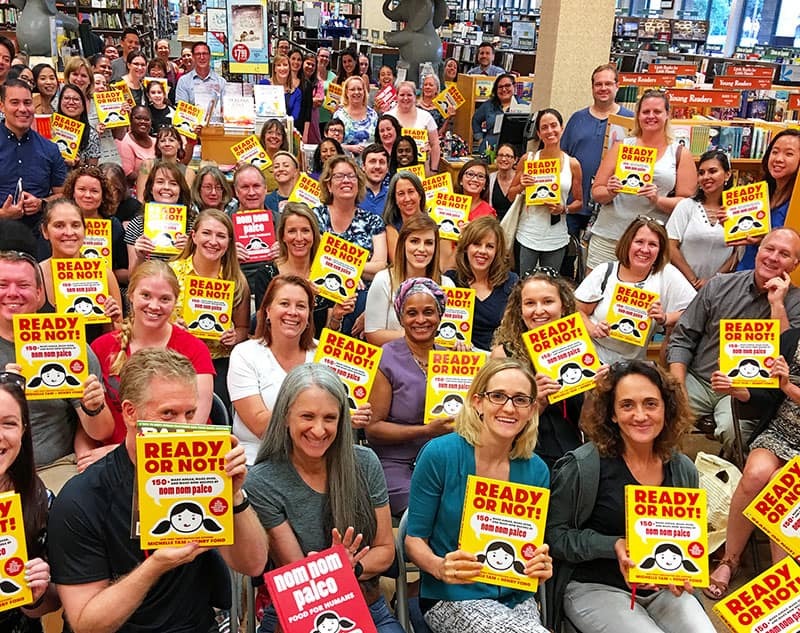 Tuesday, August 1, 2017 – 7:00 p.m.
Join us in Beaverton on August 1—the publication date of Ready or Not! 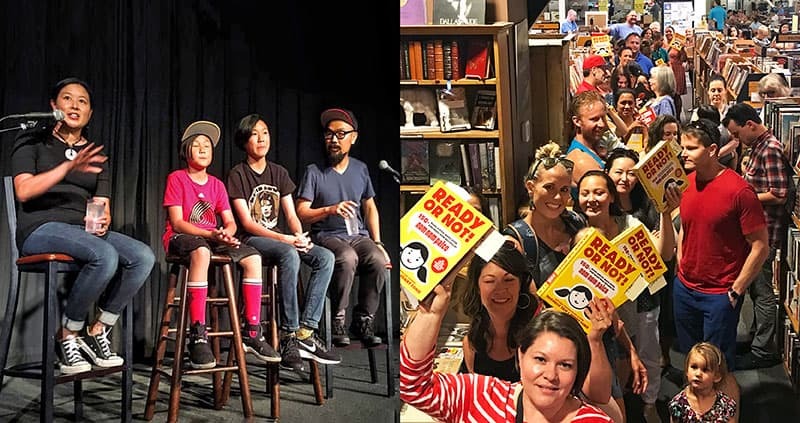 Our whole family is thrilled to be kicking off our book tour at Powell’s, which isn’t just one of my favorite independent bookstores in the world—it’s high on my list of favorite places PERIOD. In celebration of our book launch, we’ll be handing out some pretty sweet swag, so don’t miss out! 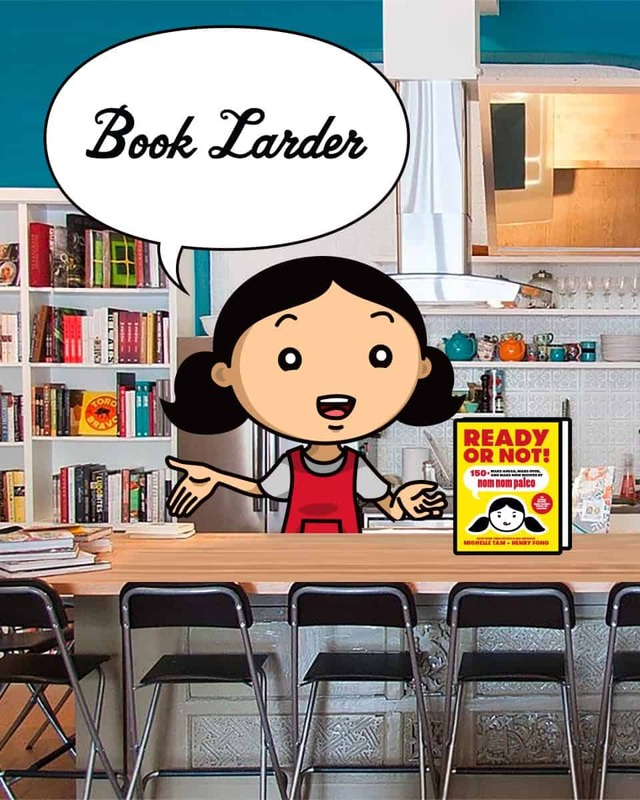 Wednesday, August 2, 2017 – 6:30 p.m.
We love Book Larder! It’s everything a cookbook-centric shop should be: Cozy, colorful, and staffed by the nicest folks ever. 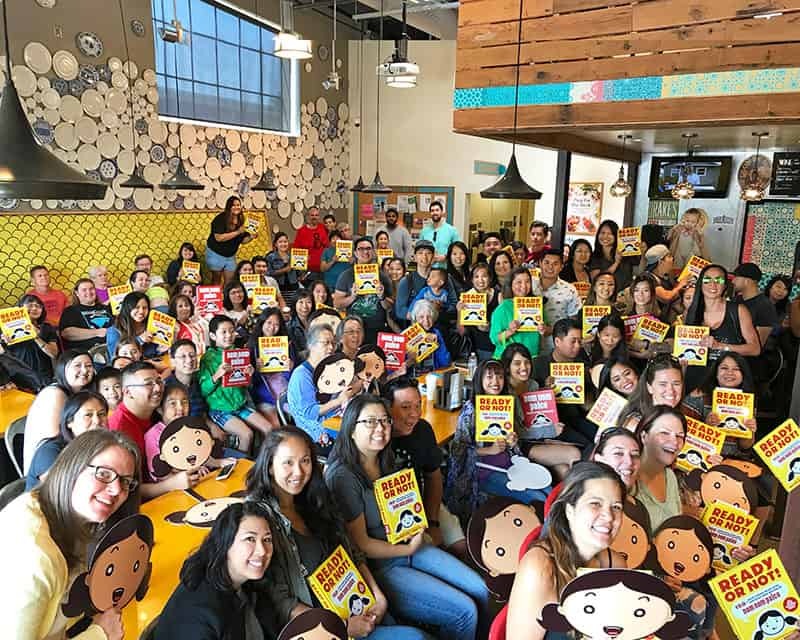 The last time we did a book signing here, we had an awesome turnout—even though it was Super Bowl Sunday and the Seahawks were playing. 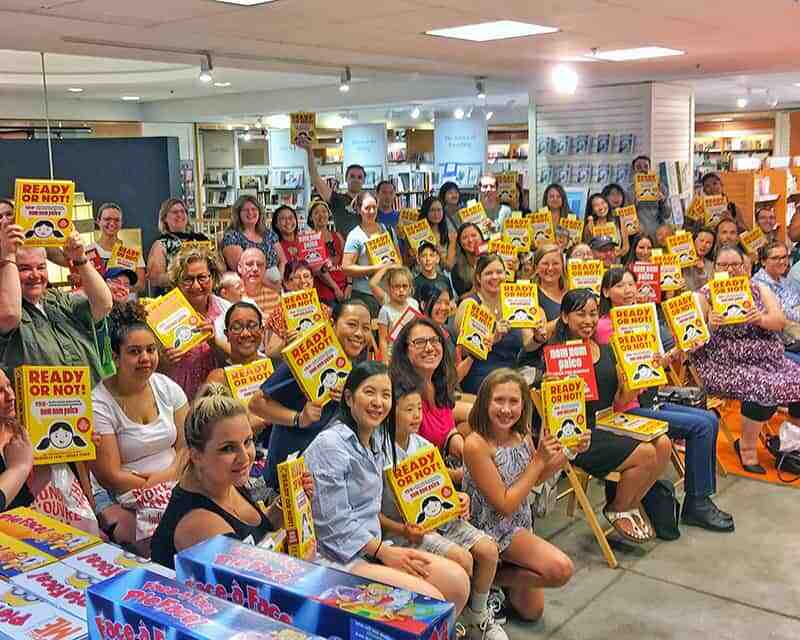 Thank you, Seattle-area Nomsters! Thursday, August 3, 2017 – 7:00 p.m.
Third Place Books is a wonderful, community-oriented independent bookstore, and I can’t wait to see you at its original store in Lake Forest Park, about 40 minutes north of downtown Seattle. 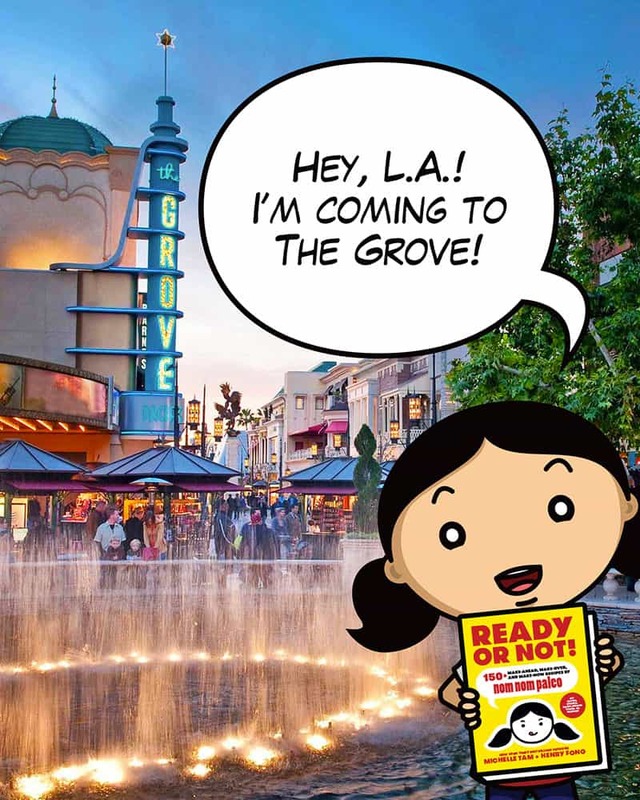 Henry and the kids will be there with me to answer your questions and sign books—and we’ll be bringing Nom Nom Paleo freebies to give out, too! Come join us! Saturday, August 5, 2017 – 7:00 p.m.
Can’t wait to be back in Colorado—and this time, with the kids in tow! 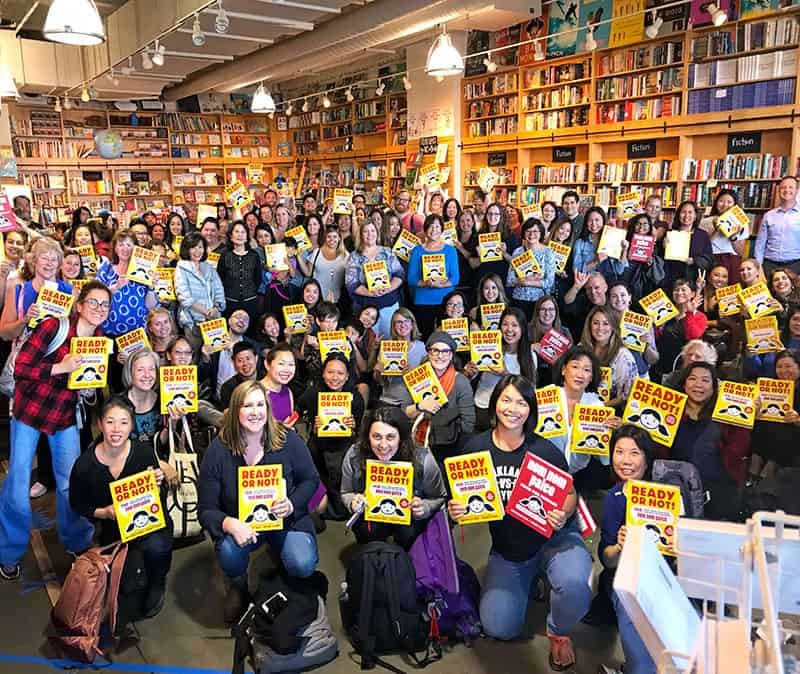 We’re so happy to get a chance to meet you and sign books at Tattered Cover, one of the largest independent bookstores in the country. And yes, we’ll bring plenty of stickers and pins and other fun gifts to hand out, too! Wednesday, August 9, 2017 – 7:00 p.m. I HAVE NEVER BEEN TO MINNESOTA BEFORE! 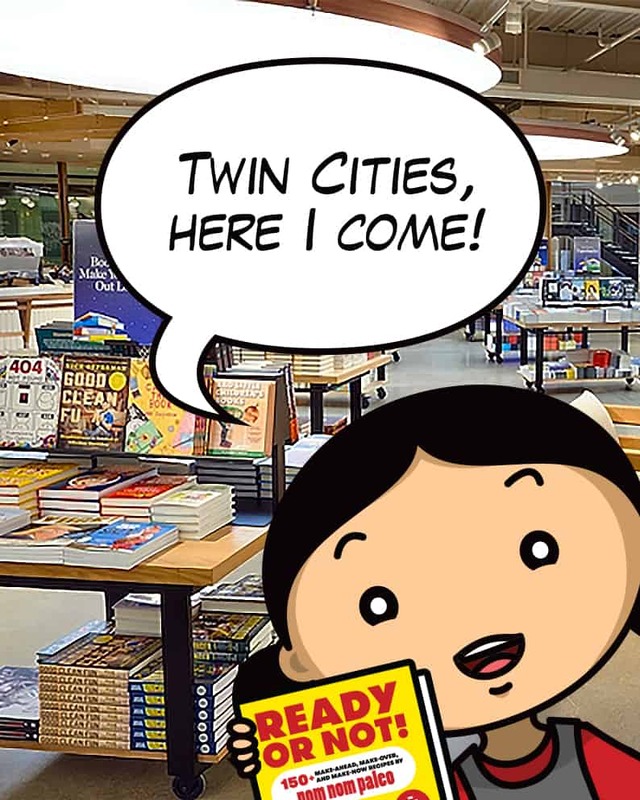 After fielding a bunch of requests to come to the Land of 10,000 Lakes, I just had to add it to my list of tour stops. 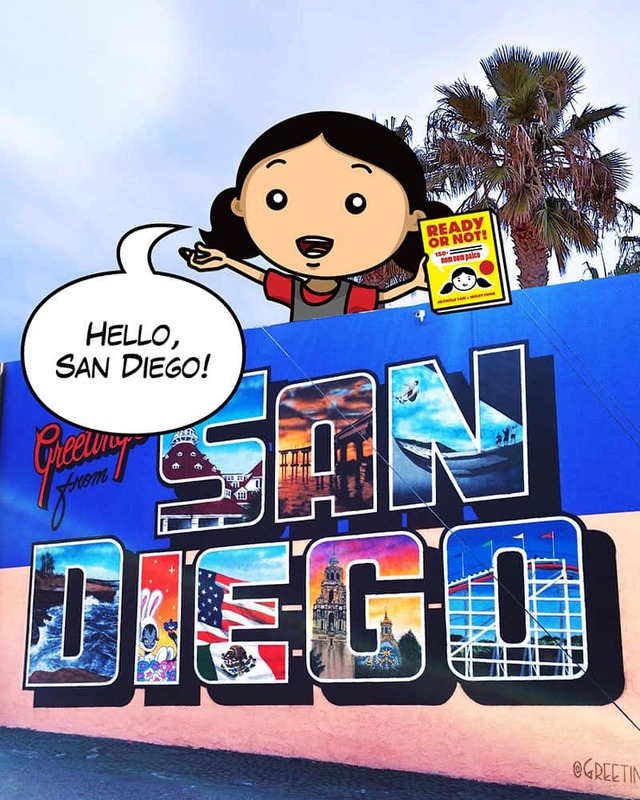 I can’t wait to visit, and to meet you—and I’ll be bringing the rest of my family, too! Thursday, August 10, 2017 – 7:00 p.m. 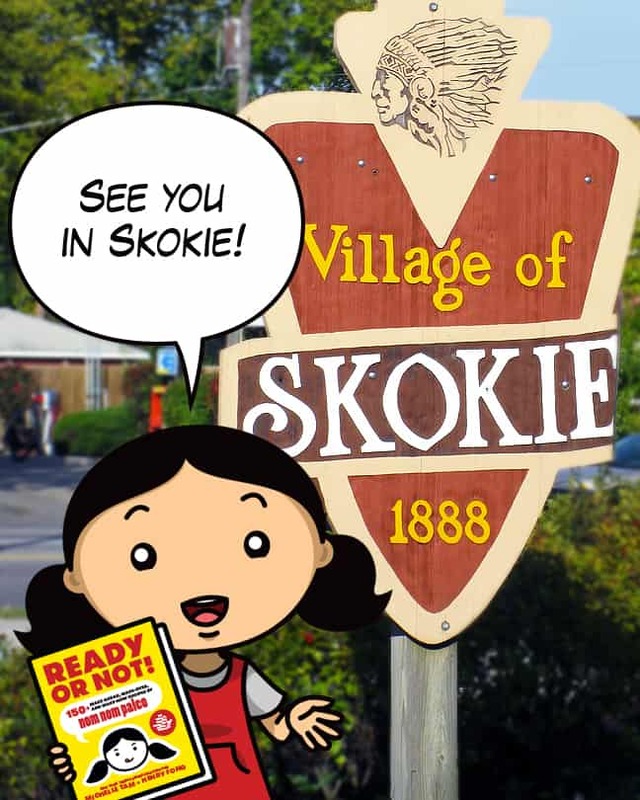 This will be the first of my two Chicago-area events, and I’m looking forward to seeing you! 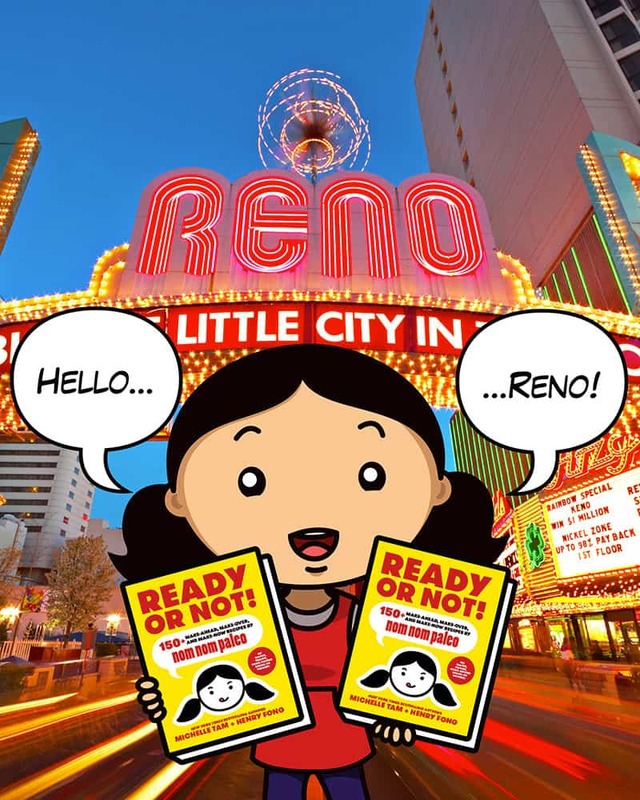 Henry and I are excited to answer your burning questions, and I’ll have Nom Nom Paleo swag with me (don’t worry—I’ll make kids lug it around), so be there or be square! 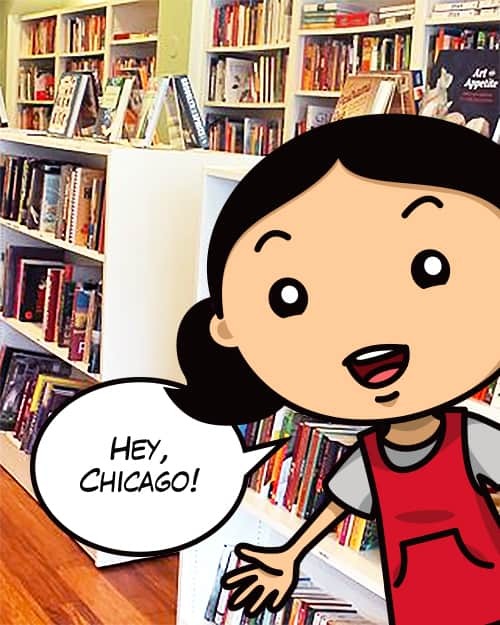 Friday, August 11, 2017 – 6:30 p.m.
Chicago’s Read It & Eat is an intimate, one-of-a-kind culinary bookstore in Lincoln Park, and we’re thrilled that the shop is hosting our Ready or Not! 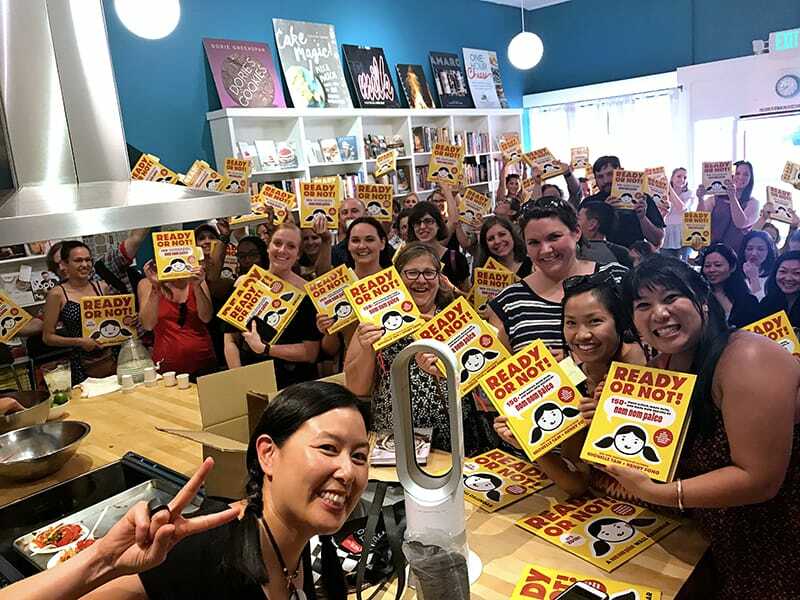 tasting, talk, and signing! 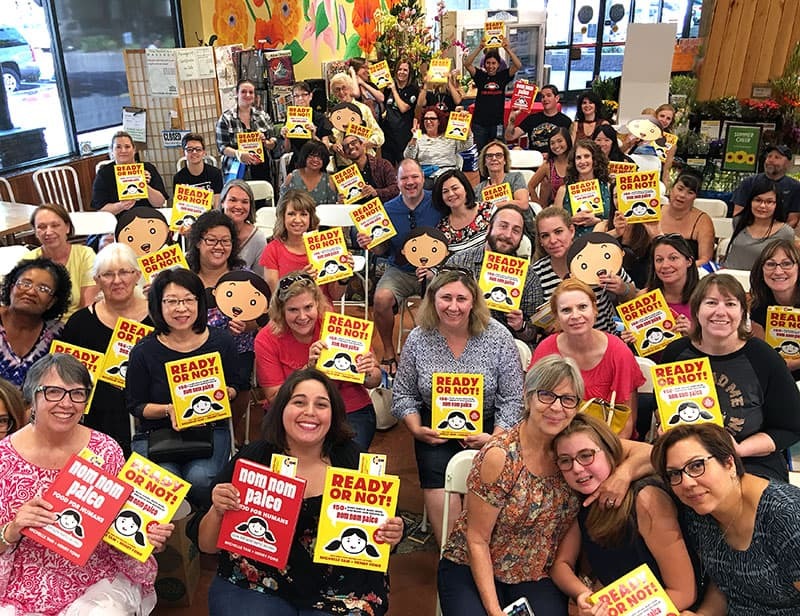 Snacks from our book will be served, and our whole family (including Henry and our boys) will be on hand to meet you, answer your questions, and scribble all over your books! Tickets for the tasting, talk and signing are $10. 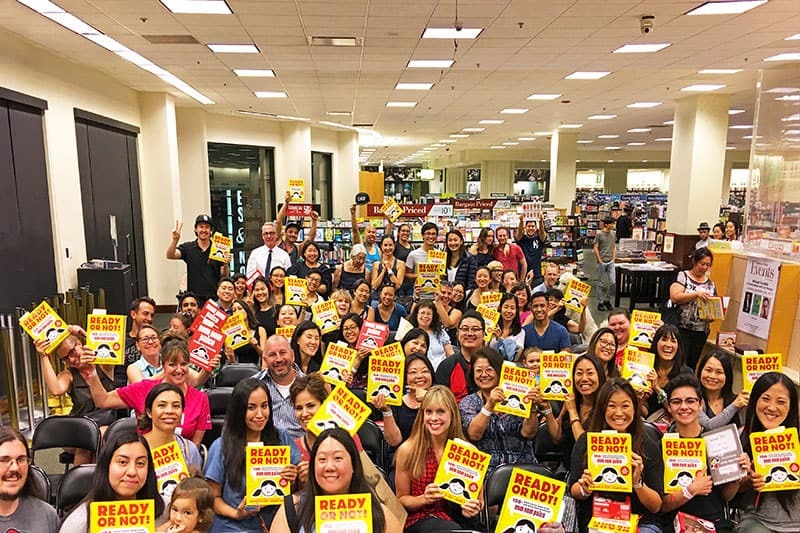 You can pre-order the book for an additional $30.87 (20% discount + sales tax); it will also be available for sale on the day of the event at full price. Click the button below to grab a ticket to this not-to-be-missed event! 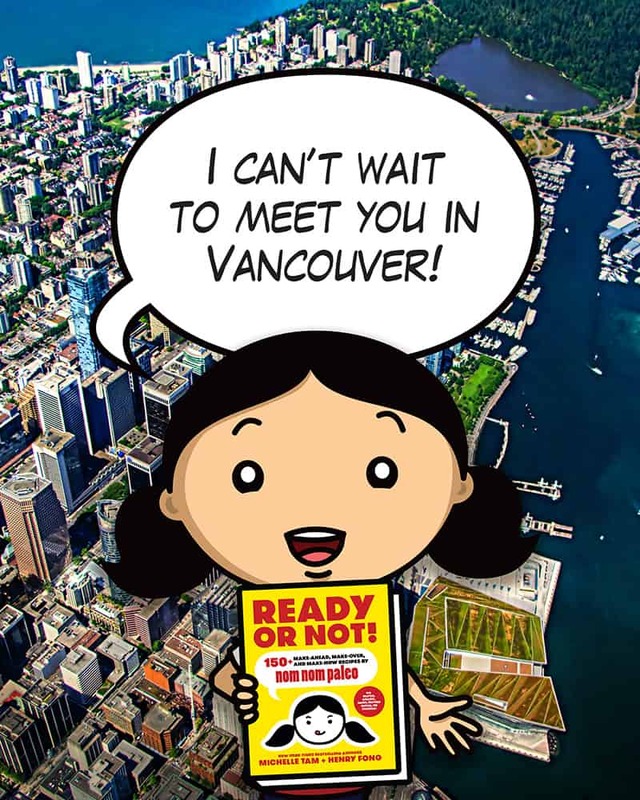 Sunday, August 13, 2017 – 2:00 p.m.
MY FIRST-EVER CANADIAN BOOK SIGNING! The last time I was in Toronto, I was thirteen years old, which means I haven’t been to Toronto for thirty (!) years. 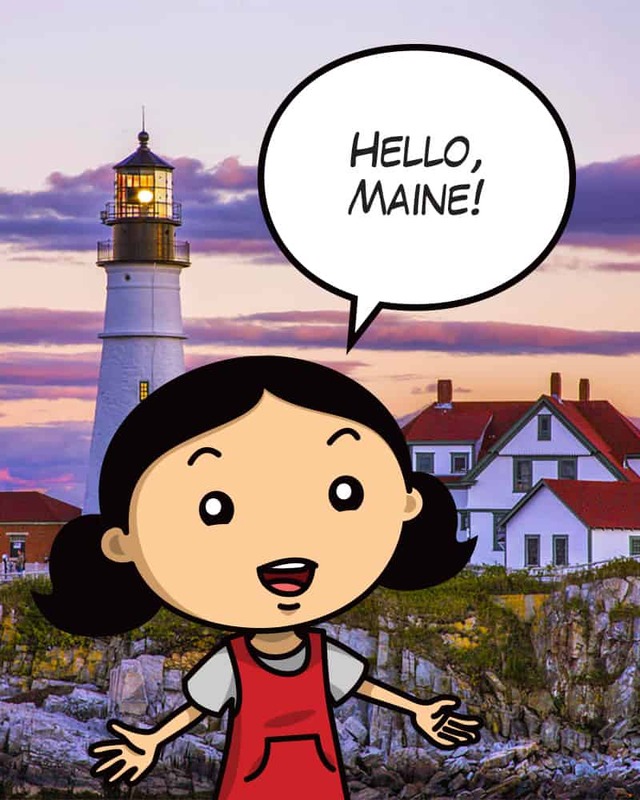 Can’t wait to be back, and to meet you in person! Wednesday, August 16, 2017 – 6:30 p.m.
Yahoo! I can’t wait to return to Hu Kitchen to chat and dine with you guys! This time I’m having an exclusive reception at Hu Kitchen’s Upper East Side Event Space! 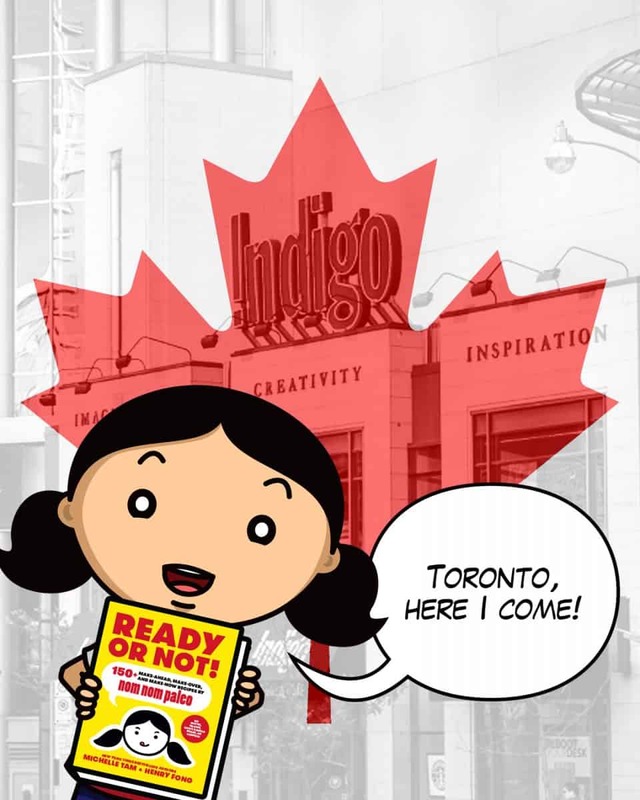 Tickets for this event are $60 and include a copy of Ready or Not! and a fabulous Paleo dinner by Hu Kitchen. **Please note: space for this event is limited, and we anticipate that it will sell out quickly. If you plan to attend, purchase your ticket today! Thursday, August 17, 2017 – 7:00 p.m.
Eek! I’m so excited and honored to be doing a talk at my favorite independent bookstore in NYC! The event will be in the Strand’s Rare Book Room, located on the 3rd floor of the store. Seating is available on a first come, first served basis, so don’t miss out! Already have a copy of our cookbook? 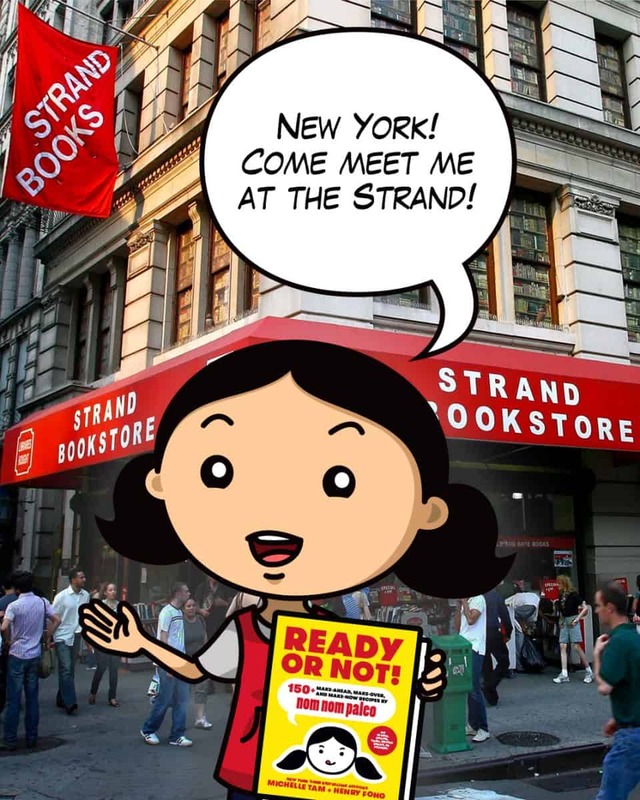 For the price of admission ($15), you’ll get a $15 gift card to the Strand—which effectively means the price of admission is zero! If you don’t have Ready or Not! yet, you can buy a copy at the Strand, and you’ll automatically gain admission to this event AND I’ll personalize your book! Admission and the signed copy/gift card ($15) will only be available for pick-up at the event, so please select “in store pick-up” as your shipping method. You may also purchase admission in the store at the registers, or at the time of the event in the Rare Book Room. I can’t wait to see you there! 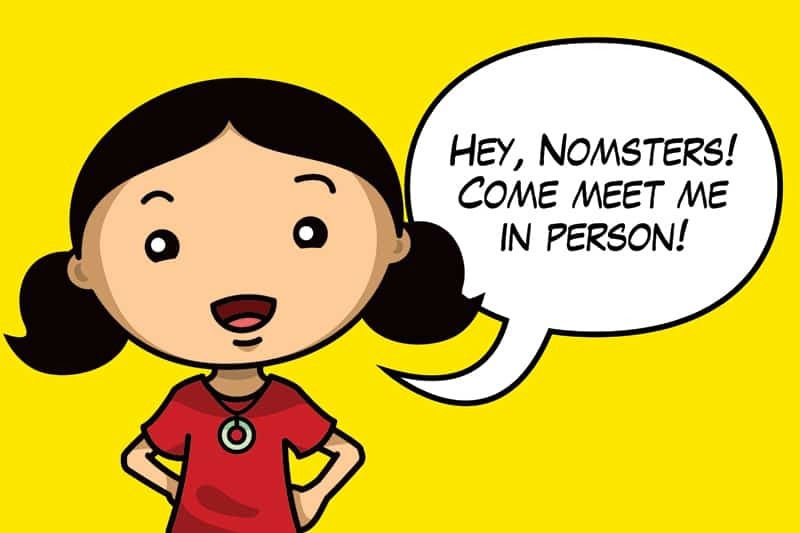 Sunday, August 20, 2017 – 1:00 p.m.
DC-area Nomsters: It’s been a while since I saw you, so come to Tysons Corner and spend a Sunday afternoon with me! No car? Just hop on the Metro Silver Line—I’ll be waiting at the Barnes & Noble with a bag o’ swag and a Sharpie to scribble all over your books! Tuesday, August 22, 2017 – 7:00 p.m.
Whew! 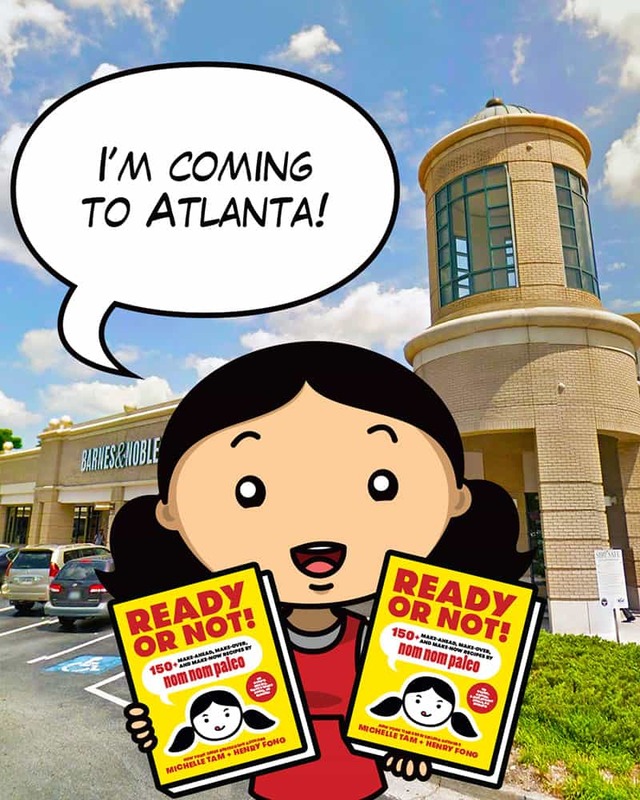 It took a bit of effort, but I finally got a bookstore in Atlanta to agree to host a signing, and I’m ecstatic about it! I know there’s a contingent of Nom Nom Paleo readers in the area, and I’m itching to come back to Atlanta to see you guys. And as always, I’ll bring stickers, magnets, and other fun stuff to hand out! Thursday, August 24, 2017 – 7:00 p.m. The last time I visited Dallas (three years ago! ), I did a signing at the Barnes & Noble in Lincoln Park, and raved about the experience to Henry. 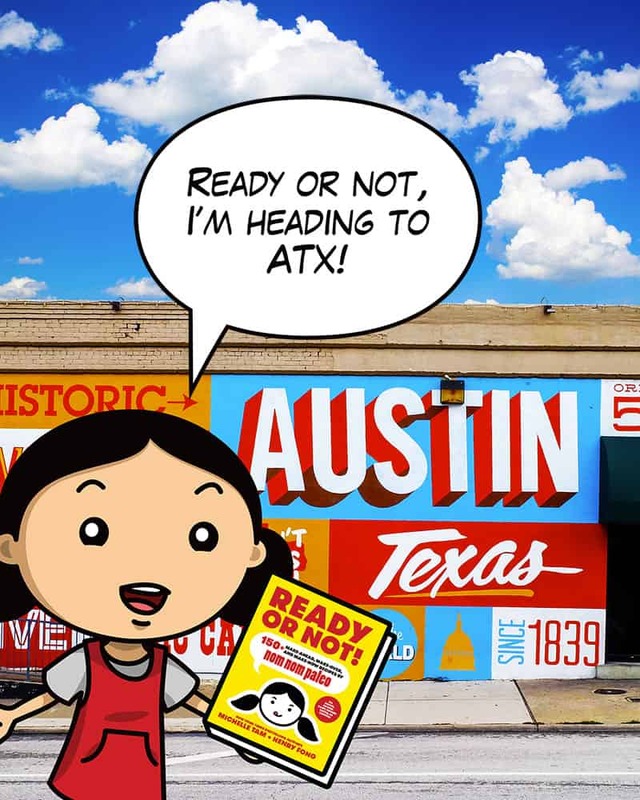 The store is as big as Texas, and the staff is lovely—I can’t wait to be back! 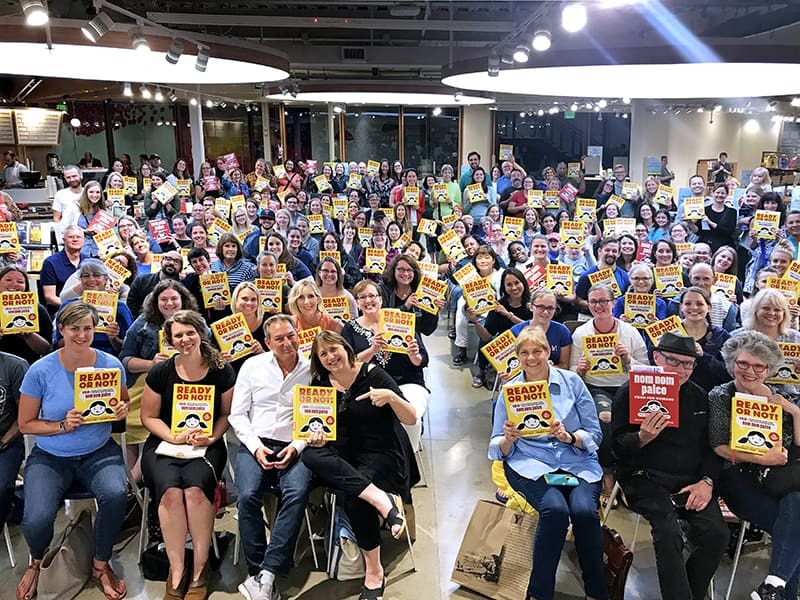 Friday, August 25, 2017 – 7:00 p.m.
Just about every time I come to Austin, I find myself camped out in the cookbook section on the first floor of Book People, poring over the store’s incredible selection of recipe books. I’m sure that this time will be no different—only I’ll wait to do it after I’ve had a chance to meet you and gab! At this Edible Austin sponsored event, you’ll also enjoy tastings provided by 44 Farms and Lox, Box & Barrel, and butter-coffee drinks by Picnik! 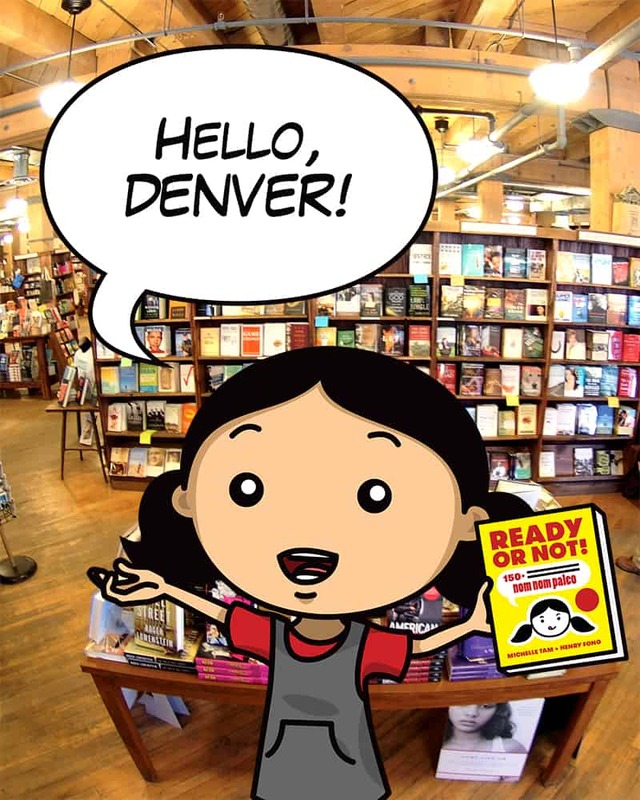 Please note that Book People’s policy asks that you purchase Ready or Not! from the store to get it signed. Of course, if you already bought a copy elsewhere, I’ll happily sign your extra copy, provided you also respect the wishes of our super-generous host by buying a copy (or three!) of our book from Book People. 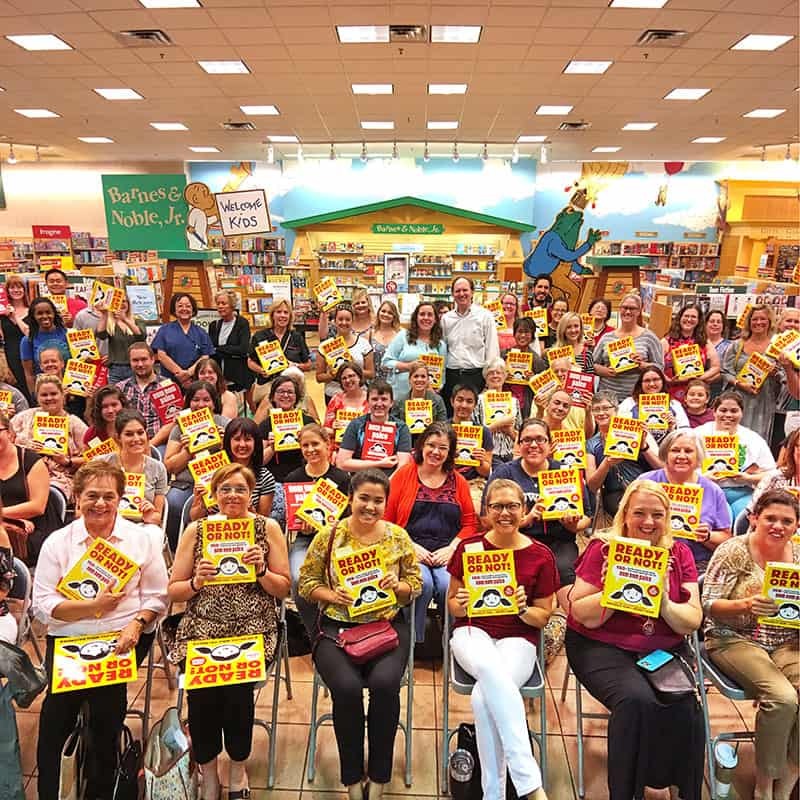 Thank you for supporting Austin’s own independent bookstore! 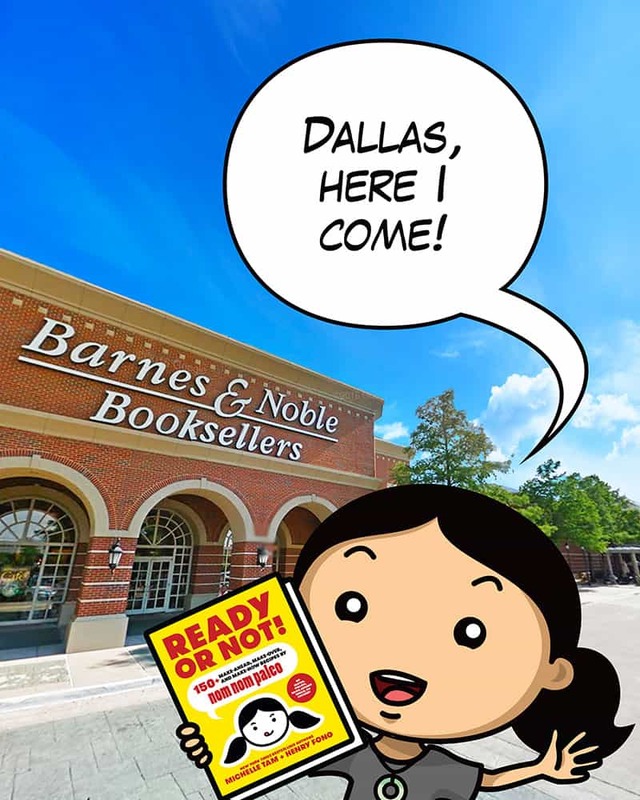 Saturday, August 26, 2017 – 1:00 p.m.
Blue Willow Bookshop is awesome—they provided books for my previous visit to Houston back in 2013, and they’ve graciously offered to host a signing for Ready or Not! 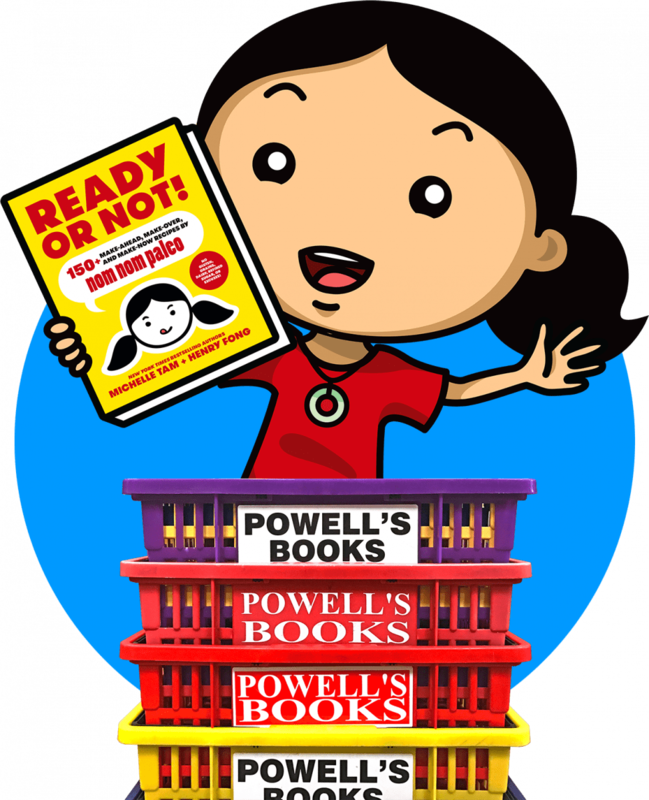 Please note that Blue Willow Bookshop’s policy asks that you purchase Ready or Not! from the store to get it signed. Of course, if you already bought a copy elsewhere, I’ll happily sign your extra copy, provided you also respect the wishes of our super-generous host by buying a copy (or three!) of our book from Blue Willow Bookshop. You can get more information about the event here. 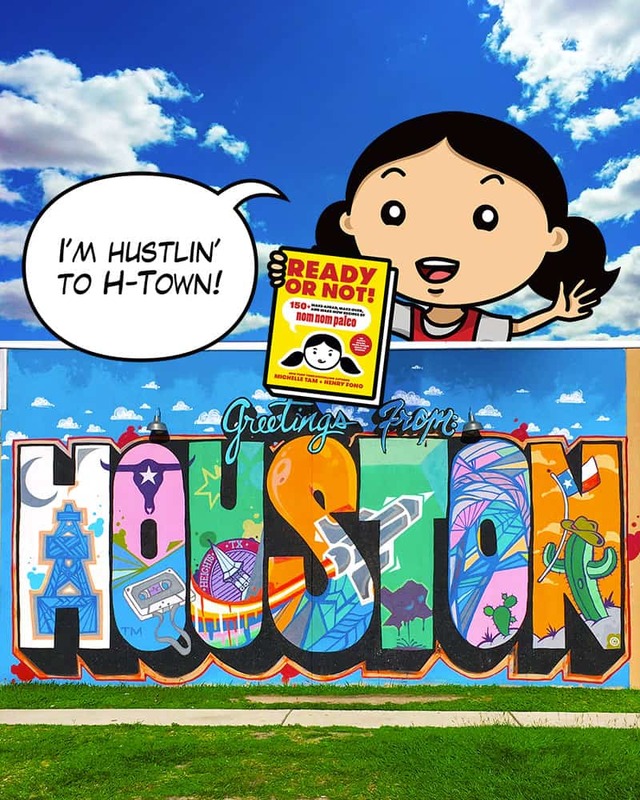 Thank you for supporting West Houston’s neighborhood bookshop! After much hand wringing and careful deliberation, I’ve decided to cancel my Saturday book signing at Blue Willow Bookshop in Houston. With Hurricane Harvey wreaking havoc on the Gulf Coast this weekend, I think everyone will be safer staying at home. I really wish the weather was better, but you can’t fight Mother Nature under these circumstances. 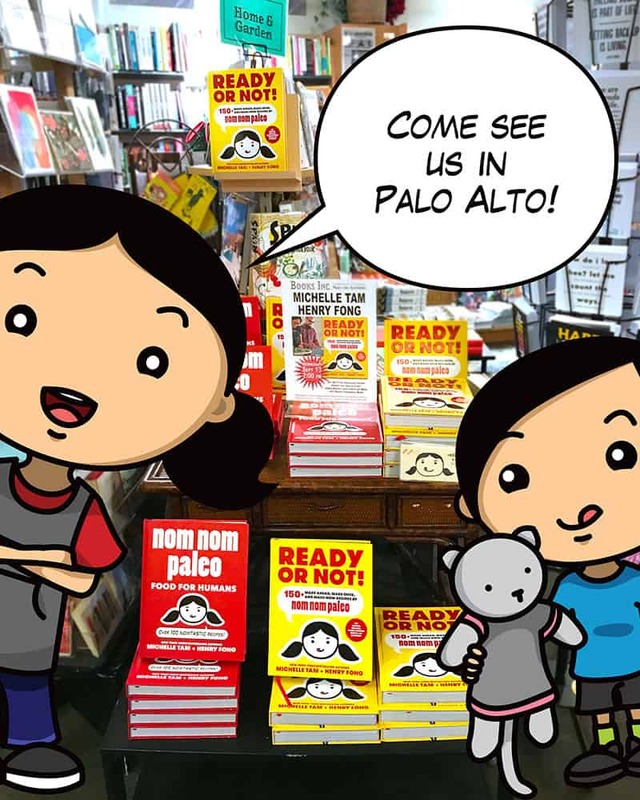 Luckily, I had the foresight to send lots of exclusive Nom Nom Paleo swag to the Blue Willow Bookshop so everyone who purchased a Ready or Not! 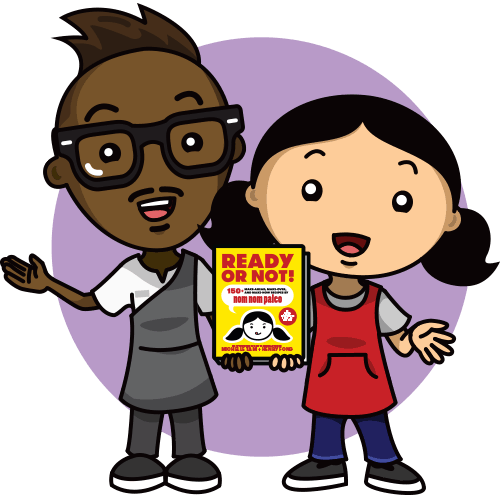 cookbook from the store will get something fun for free! Please contact Blue Willow Bookshop at (281) 497-8675 to get your copies and swag! Thank you so much for your understanding! I’ll make sure to come visit again soon! 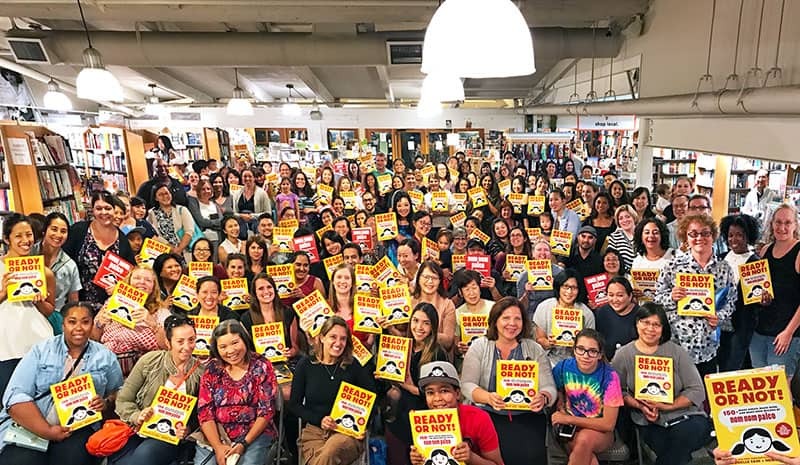 Tuesday, August 29, 2017 – 6:00 p.m.
For years, Henry worked across the street from the Ferry Building, and spent countless lunch hours perusing the books (and probably annoying the staff) at Book Passage. 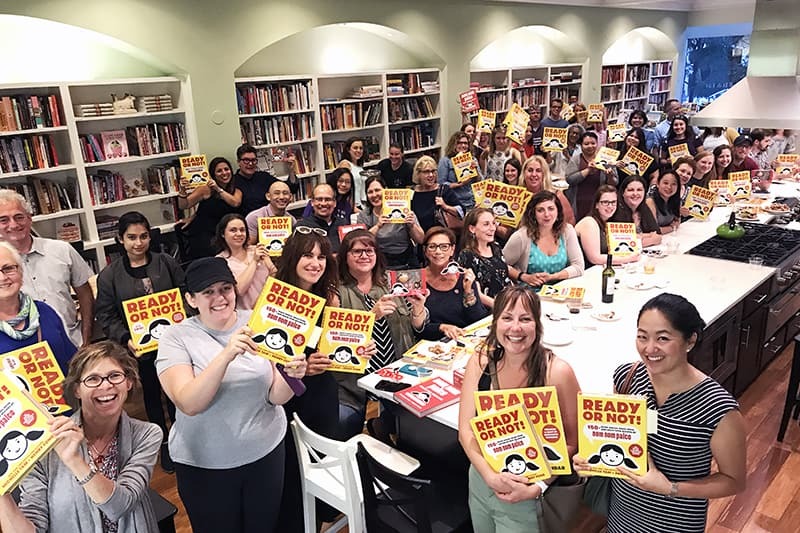 I still have fond memories of our kids happily picking out books from the children’s section—and of our first book displayed on the cookbook table in the corner! 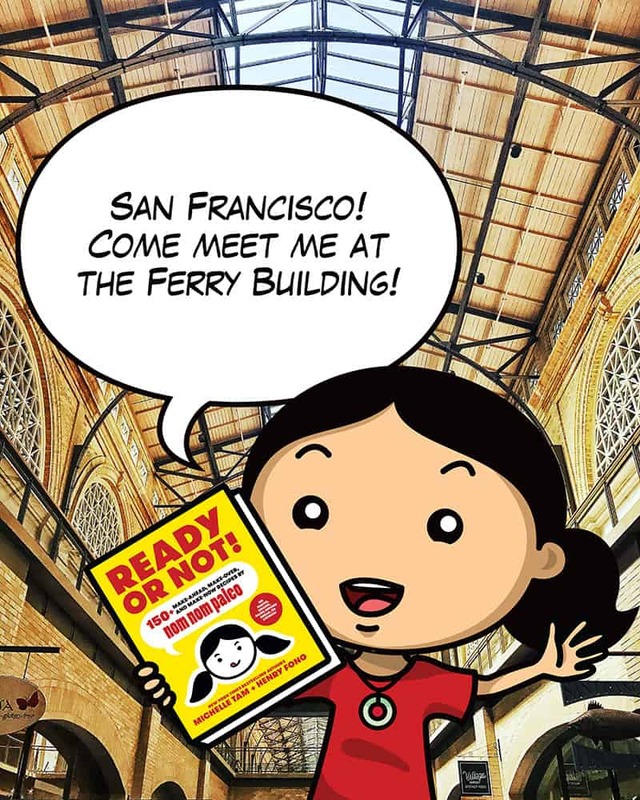 This will be our first Bay Area signing for Ready or Not!, so we hope you’ll join us! BUT…if you can’t join us in San Francisco, keep scrolling down—I have other Bay Area events (Berkeley, Fremont, Palo Alto, etc.) scheduled, too! Wednesday, August 30, 2017 – 7:00 p.m.
Thursday, August 31, 2017 – 7:00 p.m.
Hello, sunny Pasadena—can’t wait to be back in your neck of the woods! 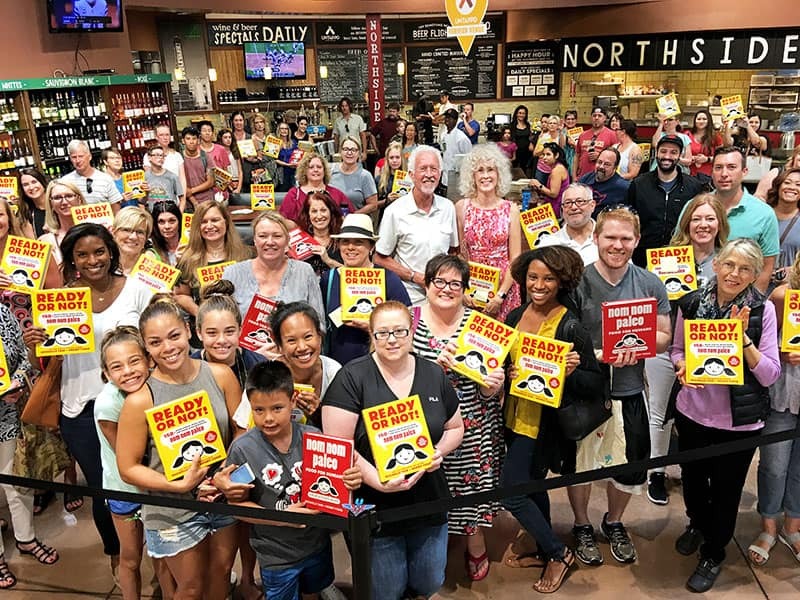 To get your book signed, Vroman’s asks that you buy at least one copy of our book from Vroman’s—but for each purchased copy, you may bring up to three copies from home to be signed. 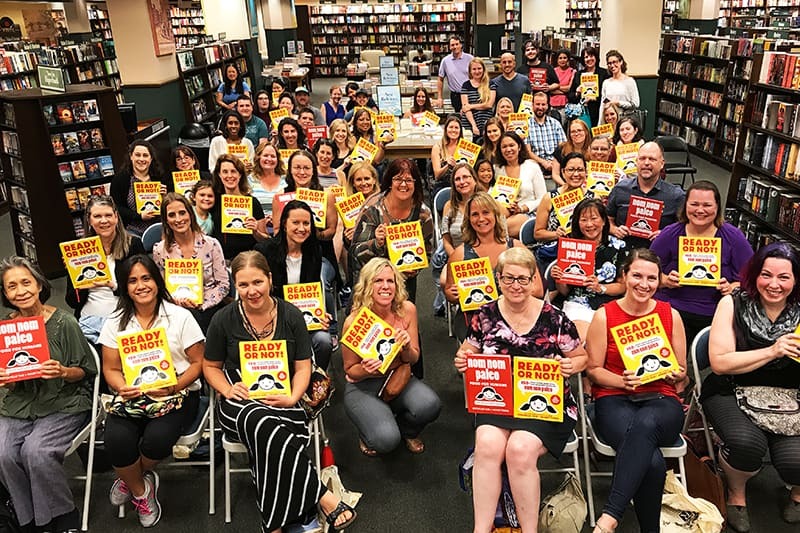 (Save your Vroman’s receipt; it’ll be checked when you enter the signing line!) 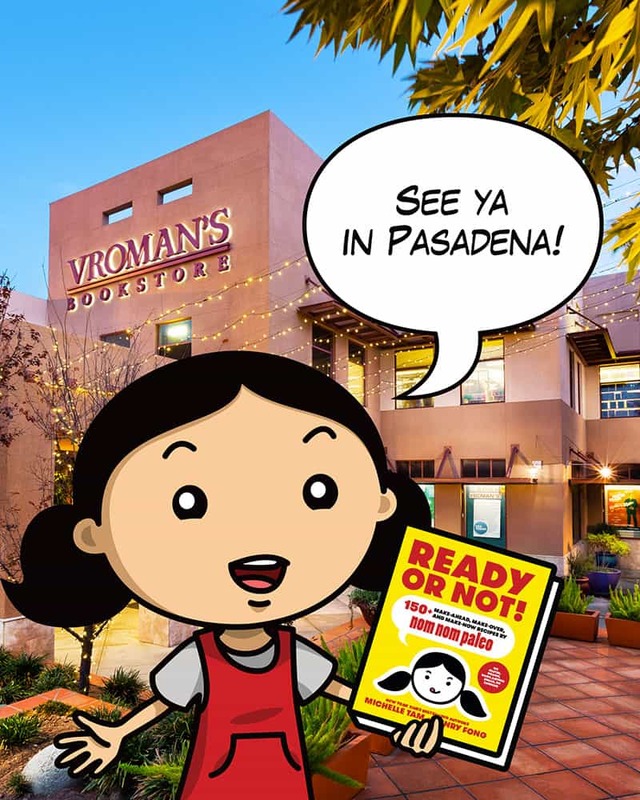 Thanks for supporting Vroman’s, Southern California’s oldest and largest independent bookstore! Join our family and Chef Gregory Gourdet at my favorite Portland restaurant, Departure Restaurant + Lounge, as we celebrate the release of Ready Or Not! 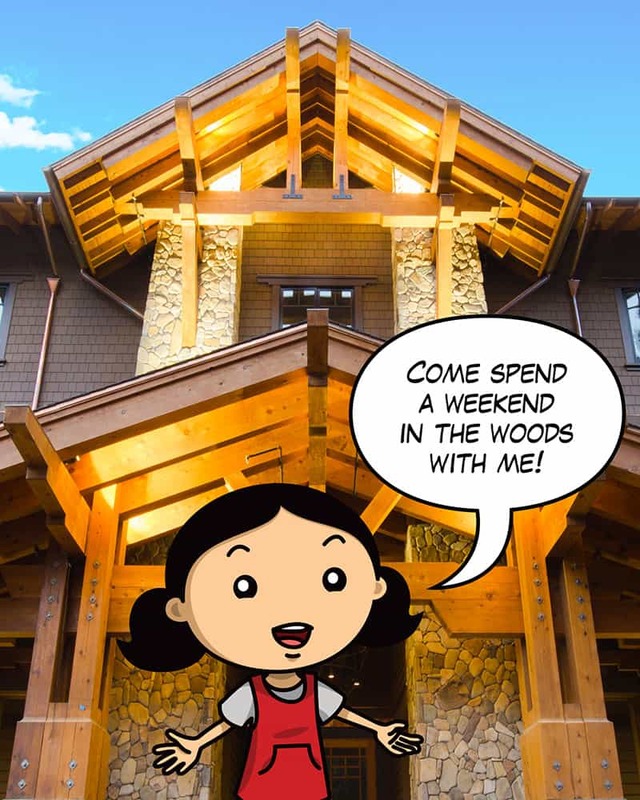 We’ll host a Meet and Greet with the family on the restaurant’s West Deck from 4:30PM to 6PM, complete with book signing, a drink, and tasty bites. The evening continues from 6:30PM to 9PM with a 5 course menu featuring Departure’s favorite summer dishes. All of the food will be Paleo friendly! Choice of red or white wine, a non alcoholic beverage or a special Ready Or Not! cocktail. Friday, September 08, 2017 – 5:00 p.m.
Come see me at the Whole Foods Market in Berkeley on Gilman! 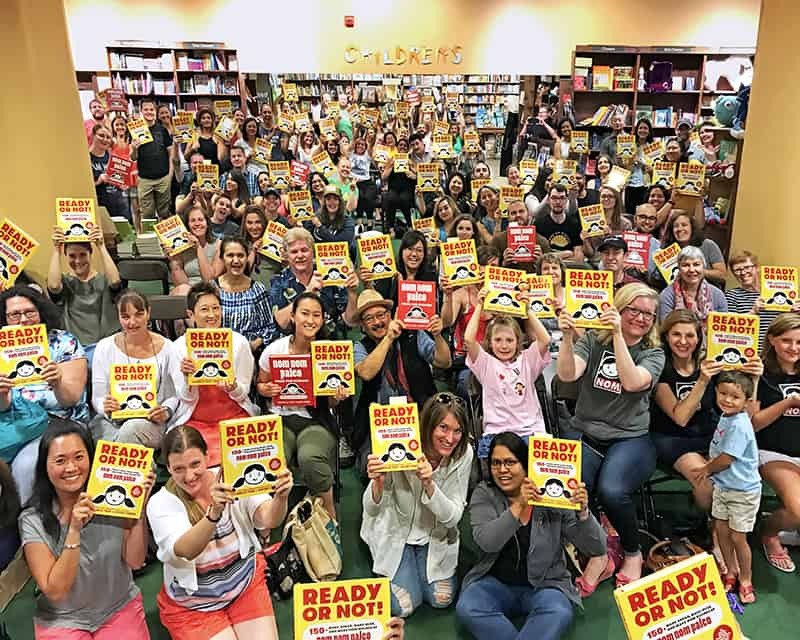 RSVP for your chance to win a signed copy of Ready or Not!,a basket of my favorite Whole Foods Market products and a Whole Foods Market gift card. Prize valued at $500. 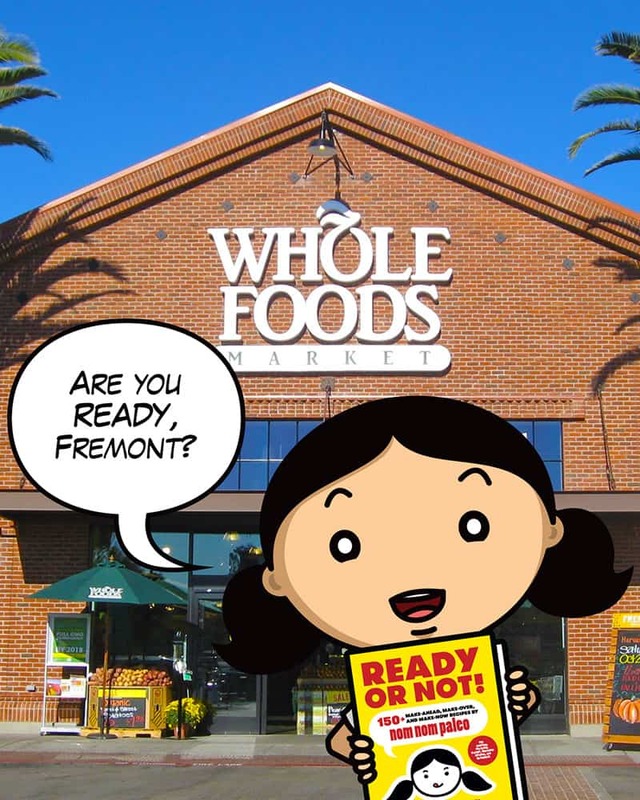 Saturday, September 09, 2017 – 11:00 a.m.
Come see me at the Whole Foods Market in Fremont! Sunday, September 10, 2017 – 2:00 p.m.
Come see me at the Whole Foods Market Hillcrest! 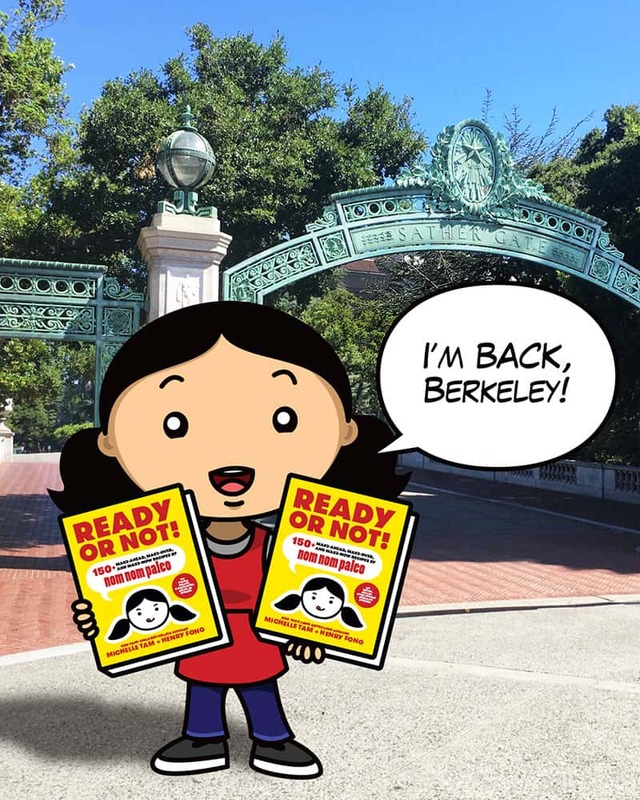 You’ll get to sample light bites from Ready or Not! and snag exclusive Nom Nom Paleo swag while supplies last! 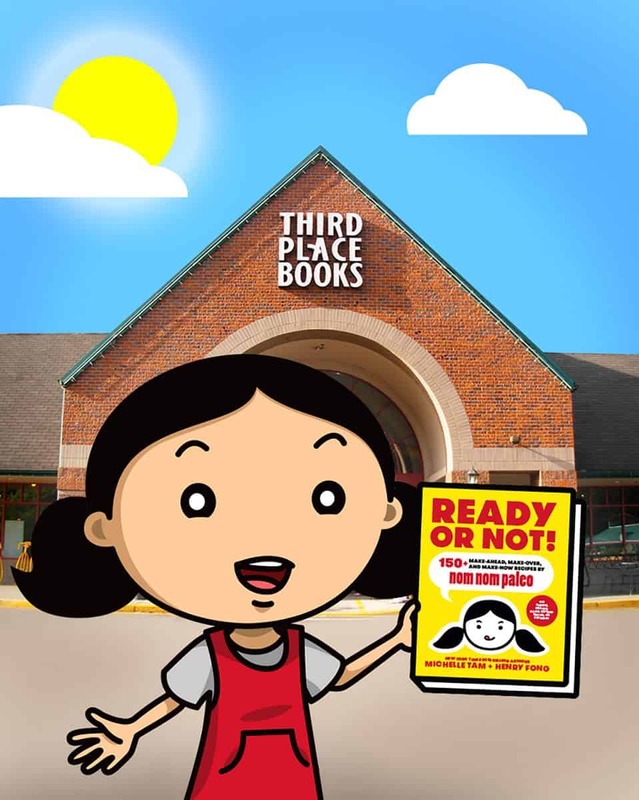 Wednesday, September 13, 2017 – 7:00 p.m.
Our hometown bookstore! Come hang out with our whole family at Town & Country! 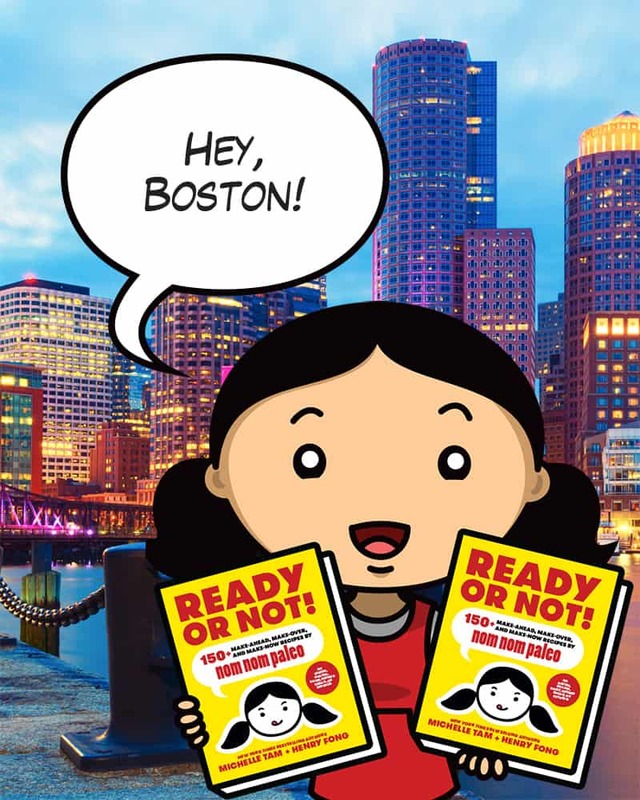 We’ll talk for a bit about Ready or Not!, answer your burning questions, and give away plenty of awesome swag, too! 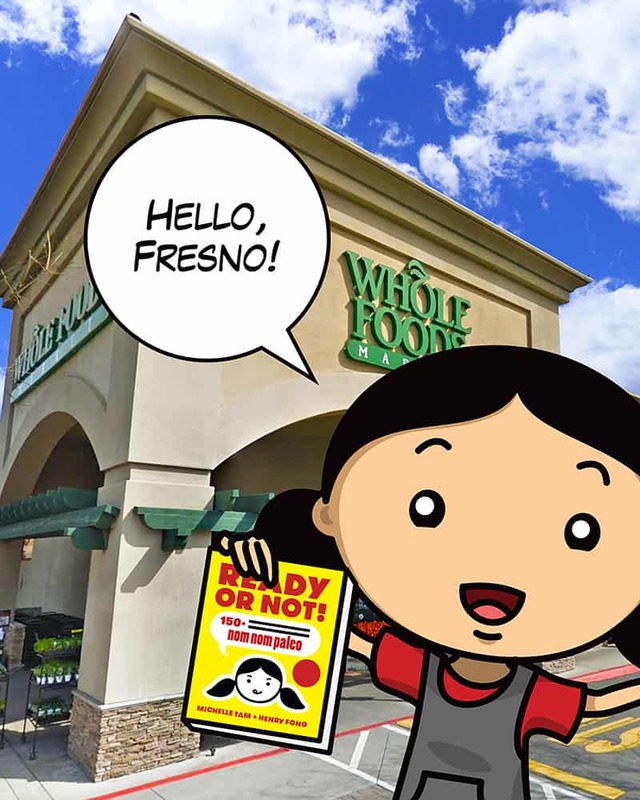 Saturday, September 16, 2017 – 11:00 a.m.
Come see me at the Whole Foods Market in Fresno! 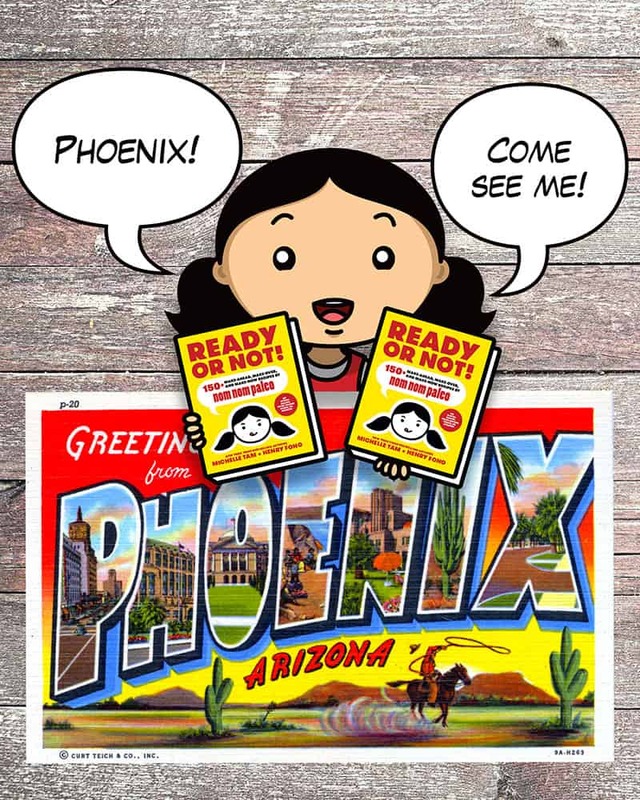 Sunday, September 17, 2017 – 2:00 p.m.
Come see me at the Whole Foods Market Scottsdale! 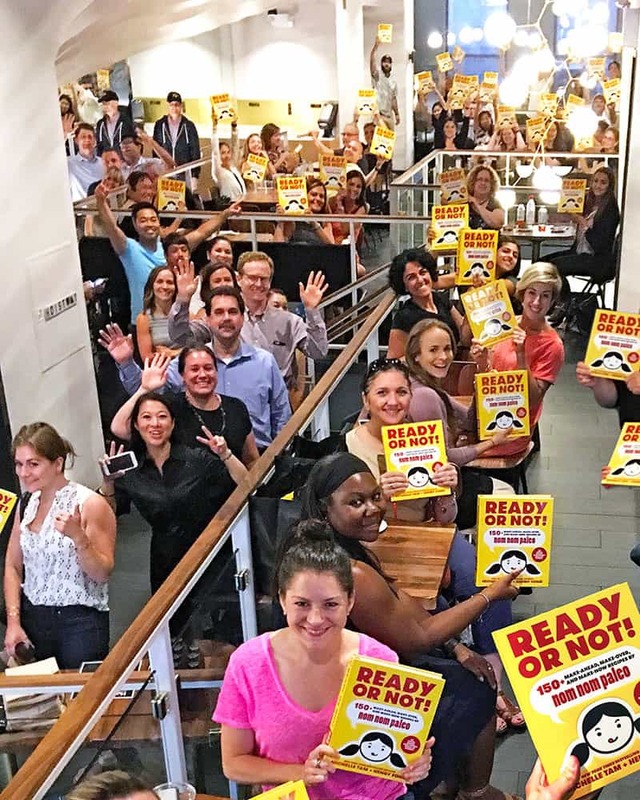 You’ll get to sample light bites from Ready or Not! and snag exclusive Nom Nom Paleo swag while supplies last! 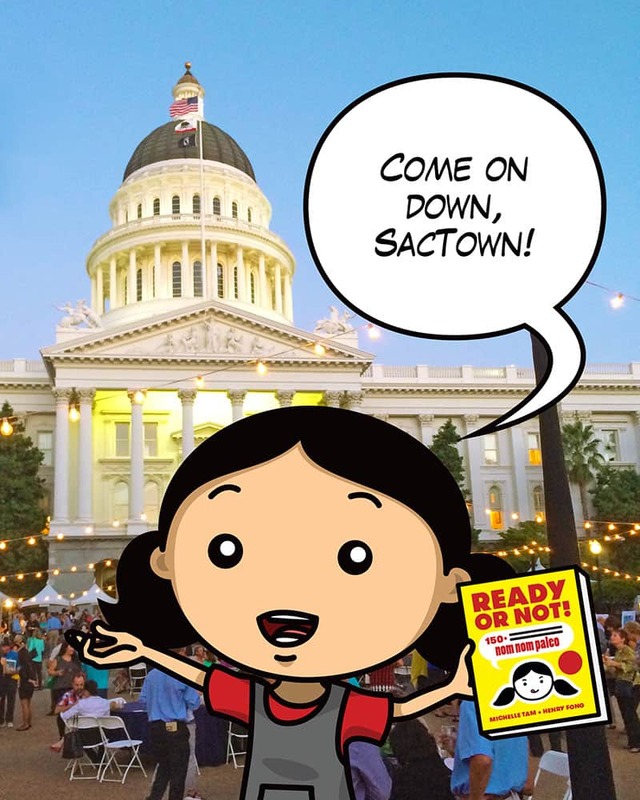 Saturday, September 23, 2017 – 1:15 p.m.
Come see my cooking demo and get your books signed at the Farm-to-Fork Festival in Sacramento! Admission is FREE! 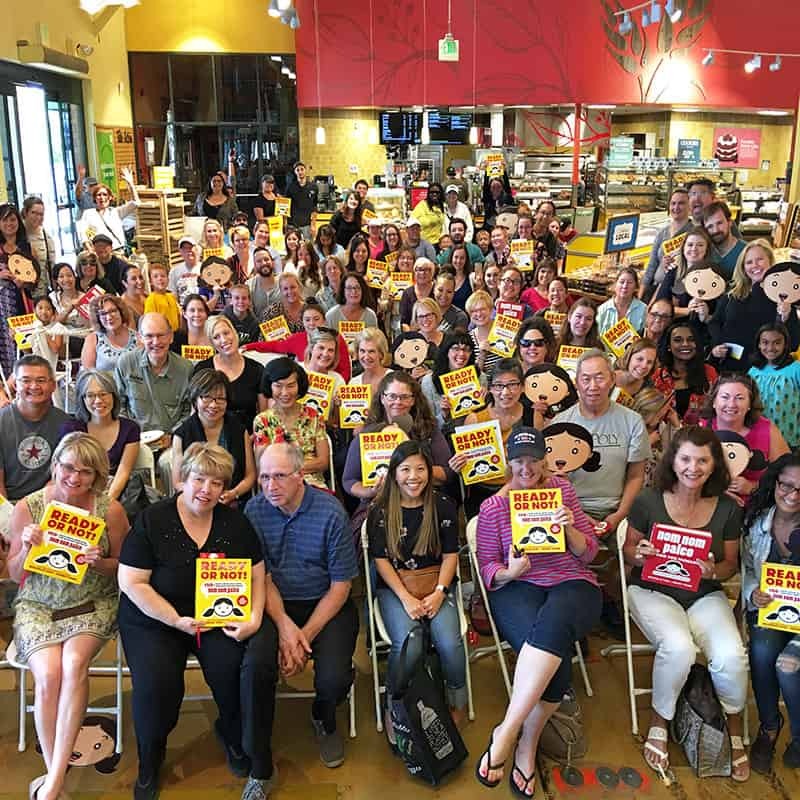 Sunday, September 24, 2017 – 1:30 p.m.
Come see me at the Whole Foods Market in Sacramento! 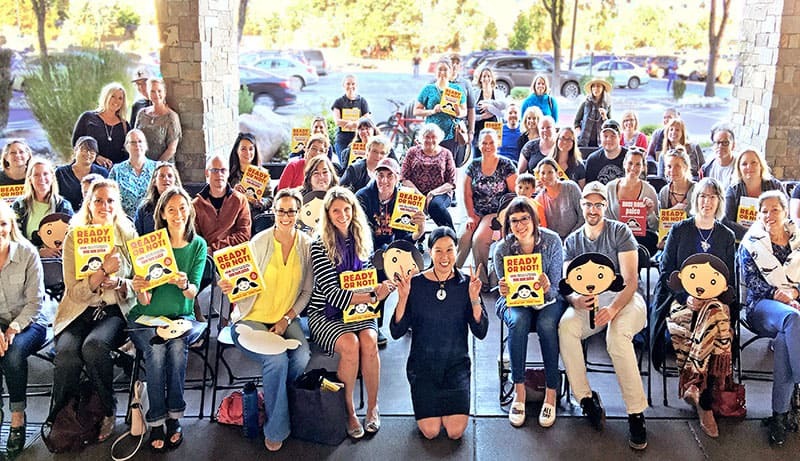 Monday, September 25, 2017 – 5:00 p.m.
Come see me at the Whole Foods Market in Reno! One of the biggest health challenges today is that we have forgotten how to nourish ourselves. Many of us are unsure how to give our body what it needs for vitality, disconnected from the joy of preparing meals, and so rushed that we barely taste the flavors of our food. And all of this has an impact on our health and overall well-being. 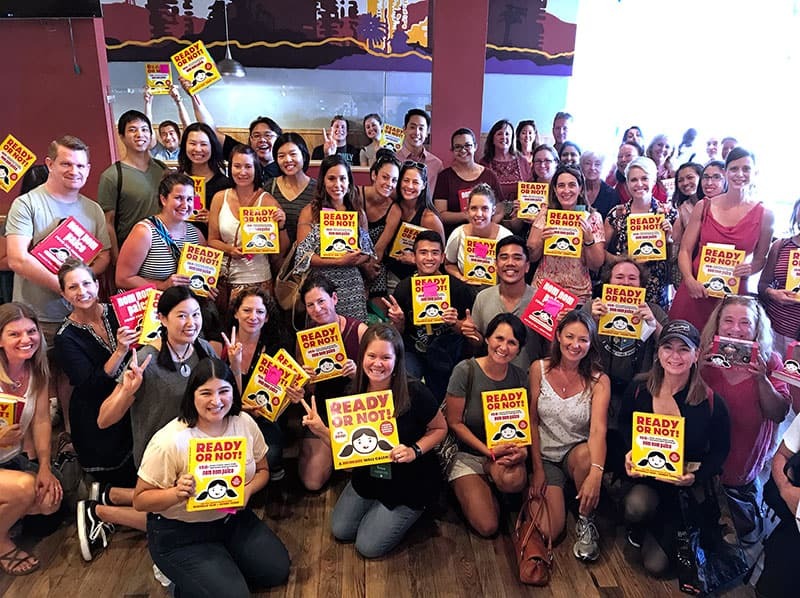 Harvard-trained physician Akil Palanisamy, MD, author of The Paleovedic Diet, and Michelle Tam, New York Times best-selling author of Nom Nom Paleo, are joining forces to change that. This weekend, these two experts combine the holistic principles of Ayurveda—one of the oldest systems of health on the planet—with the theory and practice of the Paleo diet. Their goal is to inspire you to return to the kitchen and savor the pleasures of cooking and eating, positively contributing to your well-being. Creative recipes that delight the taste buds and are family friendly. Come get educated, inspired, and nourished and return home with newfound excitement and a roadmap for self-care for using food as medicine. Saturday, October 14, 2017 – 9:30 a.m.
I’ll be on a panel at the inaugural Cherry Bombe Jubilee in San Francisco! New York City (Tribeca), New York! 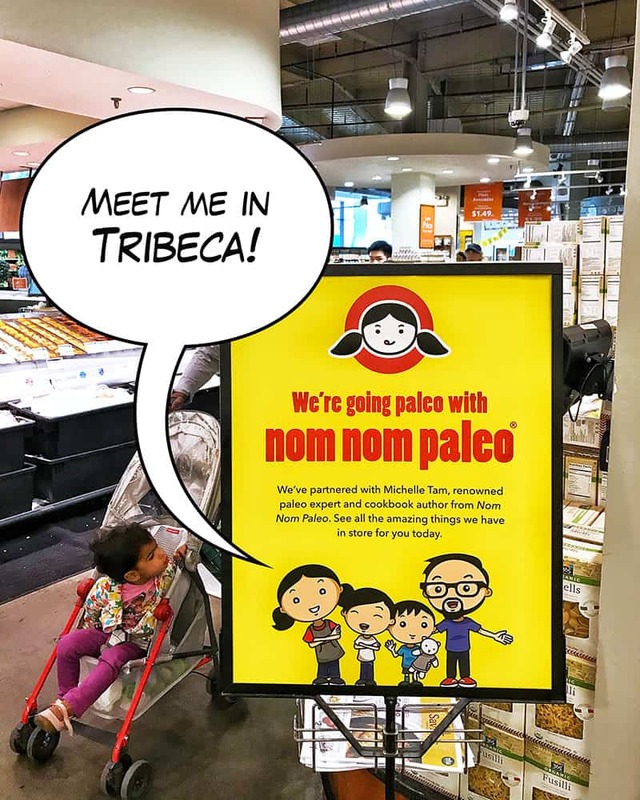 Friday, October 20, 2017 – 5:30 p.m.
Come see me at the Whole Foods Market in Tribeca! I’ll be signing cookbooks and handing out free Nom Nom Paleo swag while supples last! 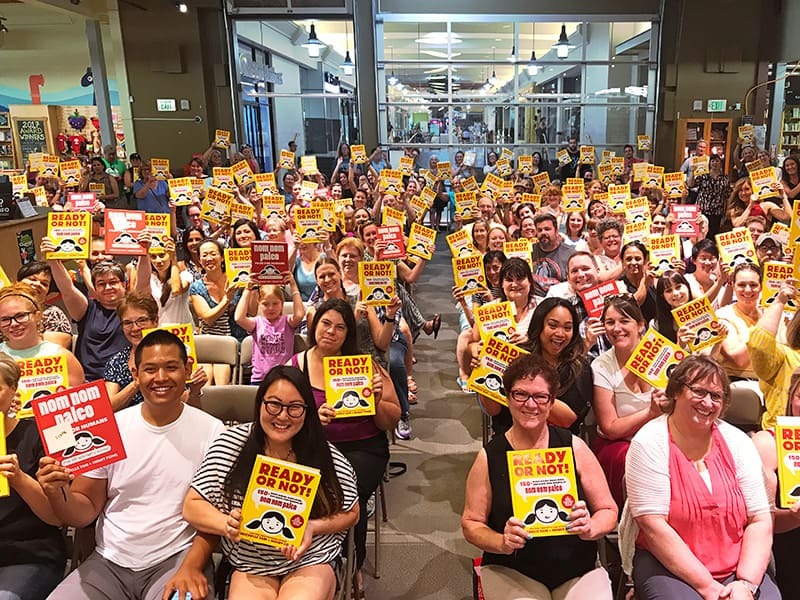 By RSVPing to this event, you will be entering to win a Nom Nom Paleo Prize Pack featuring fun swag, a copy of our new book “Ready Or Not” and a $100 Whole Foods Market gift card! 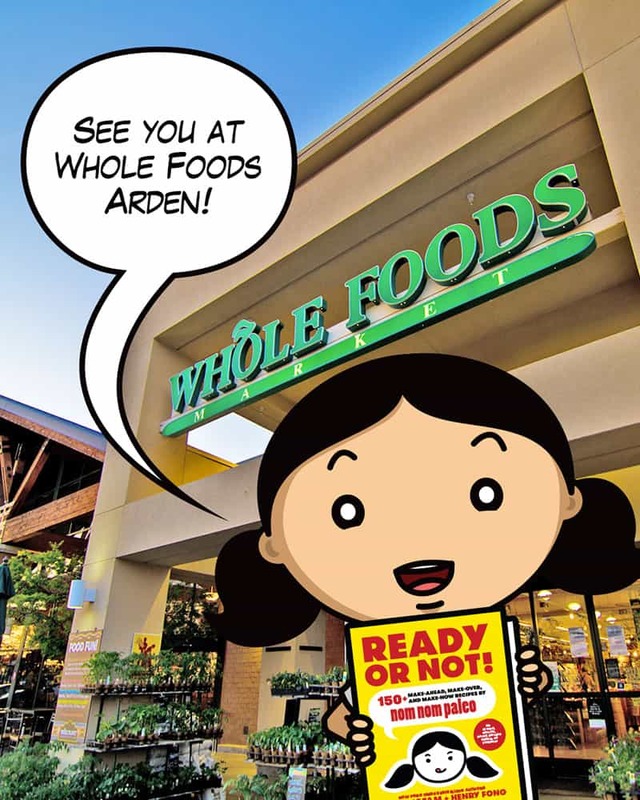 Saturday, October 21, 2017 – 11:00 a.m.
Come see Henry and me at the Whole Foods Market in Paramus! We’ll be signing cookbooks and handing out free Nom Nom Paleo swag while supples last! Sunday, October 22, 2017 – 11:00 a.m.
Come see Henry and me at the Whole Foods Market in Millburn-Union! We’ll be signing cookbooks and handing out free Nom Nom Paleo swag while supples last! 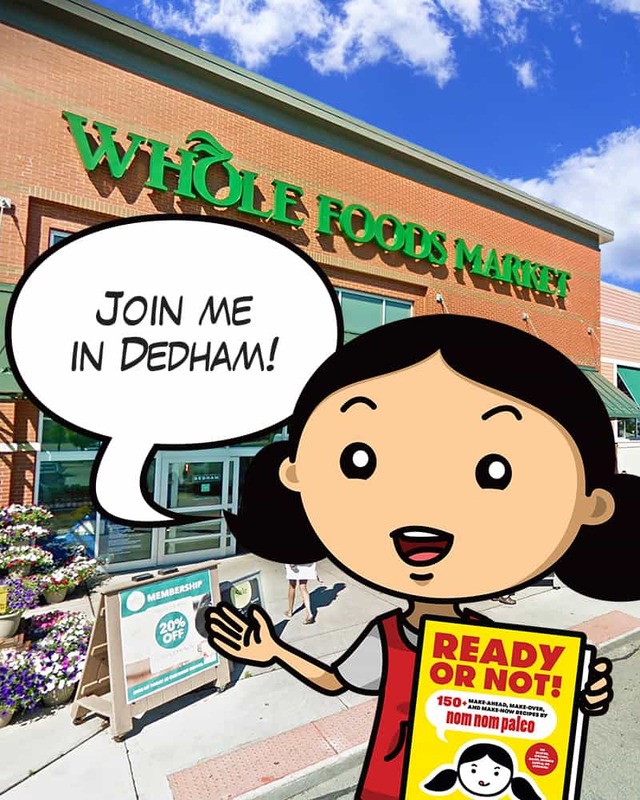 WEDNESDAY, MAY 9, 2018 – 5:00 P.M.
Come see me at the Whole Foods Market in Dedham! I’ll be signing cookbooks and handing out free Nom Nom Paleo swag while supples last! Please RSVP by clicking on the red button below. Once you’re on the Evenbrite page, click on the REGISTER button (or the TICKETS button on mobile) to choose the correct location! 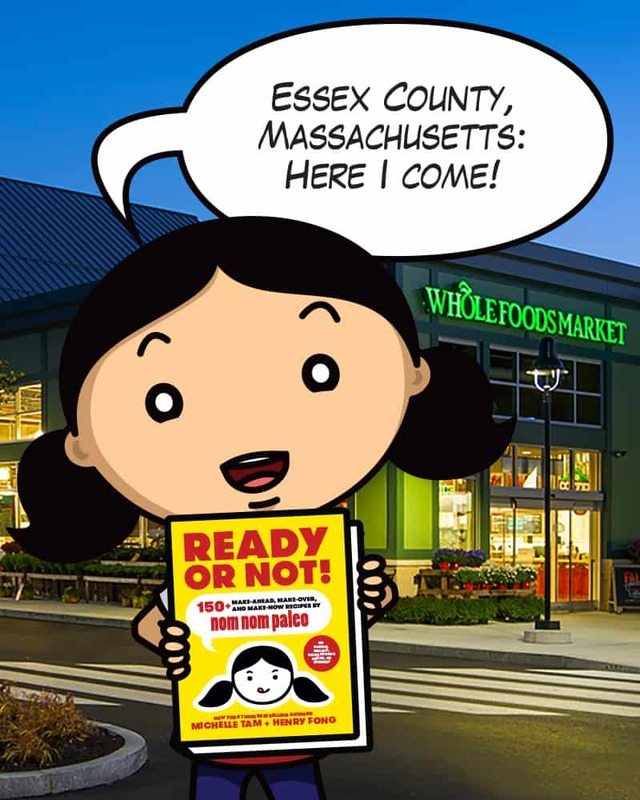 THURSDAY, MAY 10, 2018 – 5:00 P.M.
Come see me at the Whole Foods Market in Lynnfield! 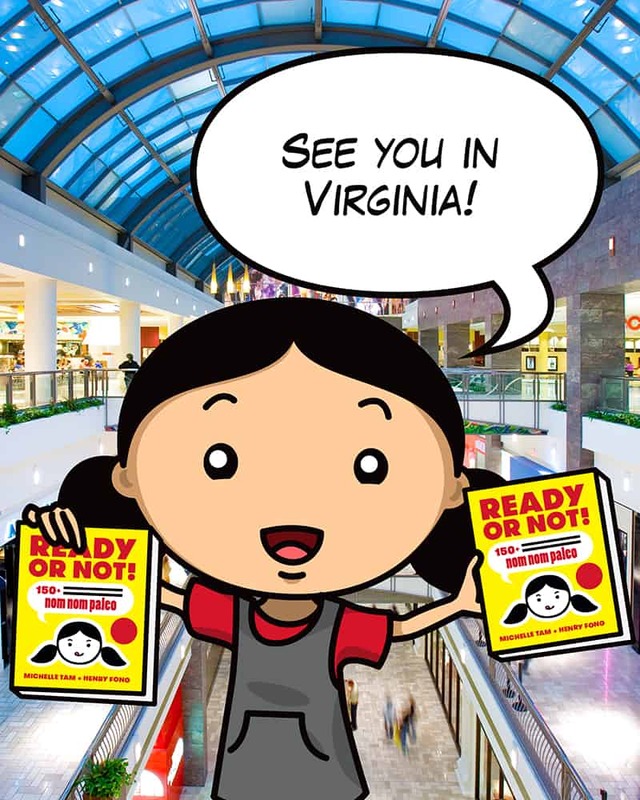 FRIDAY, MAY 11, 2018 – 5:00 P.M.
Come see me at the Whole Foods Market in South End! I’ll be signing cookbooks and handing out free Nom Nom Paleo swag while supples last! Please RSVP by clicking on the red button below. Once you’re on the Evenbrite page, click on the REGISTER button (or the TICKETS button on mobile)to choose the correct location! 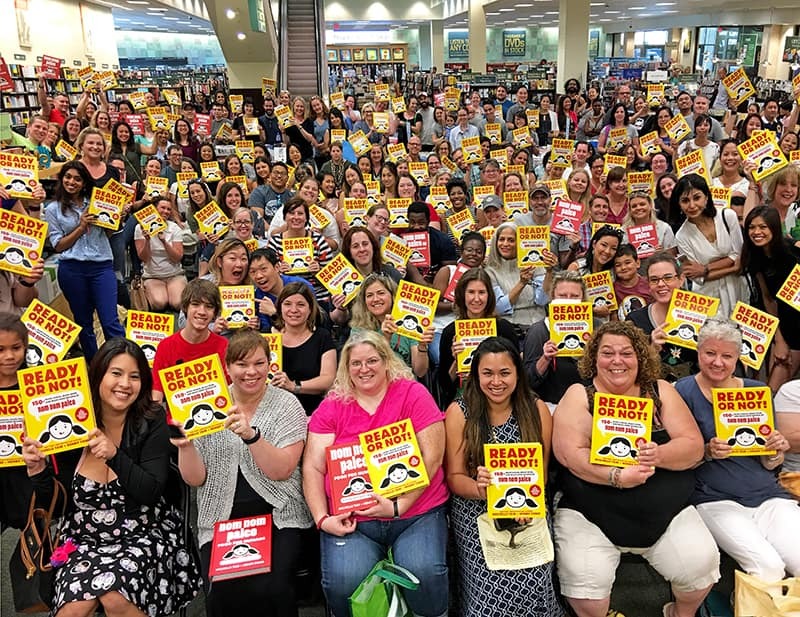 SATURDAY, MAY 12, 2018 – 2:00 P.M.
Come see me at the Whole Foods Market in Portland! 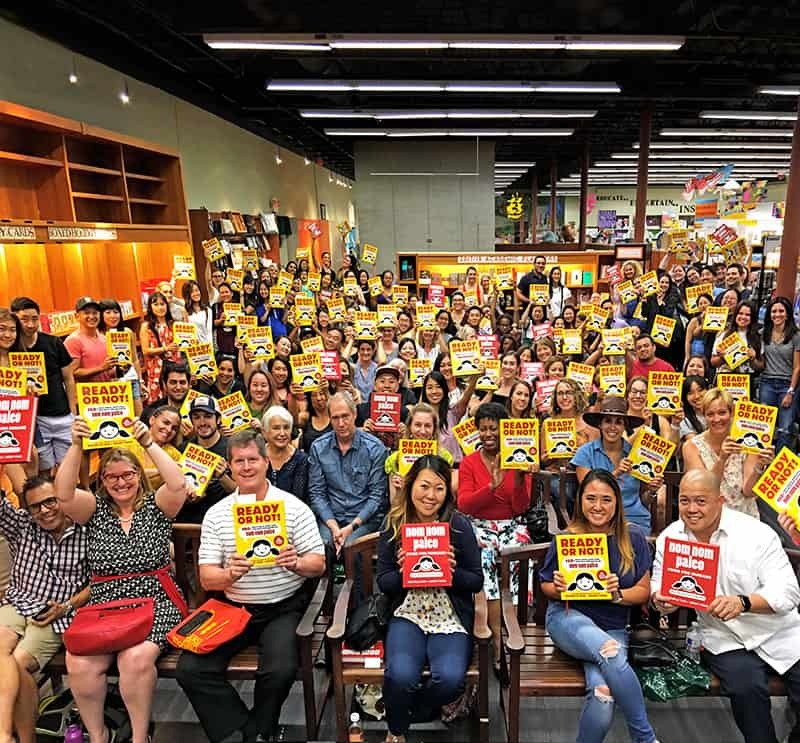 Saturday, May 19, 2018 – 10:00 a.m.
Come see me at the Whole Foods Market in Vancouver! 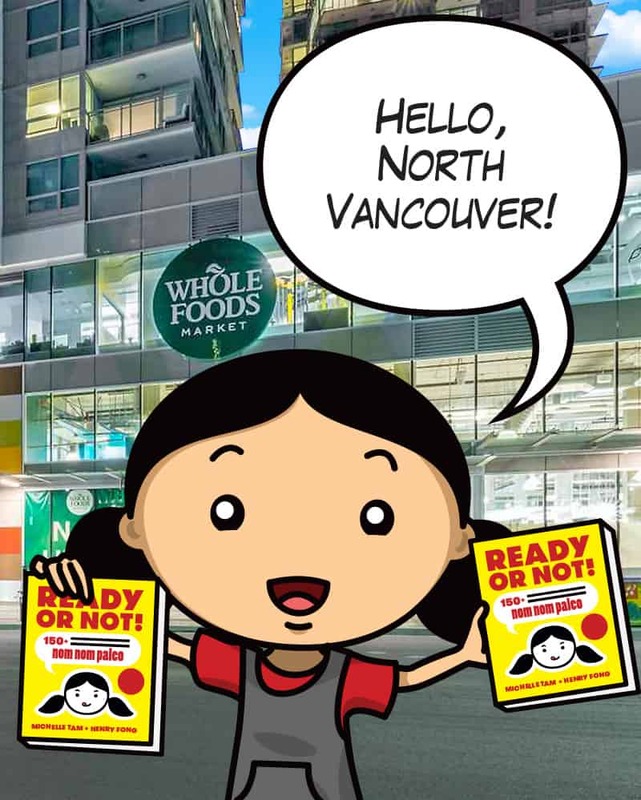 Sunday, May 20, 2018 – 10:00 a.m.
Come see me at the Whole Foods Market in North Vancouver! 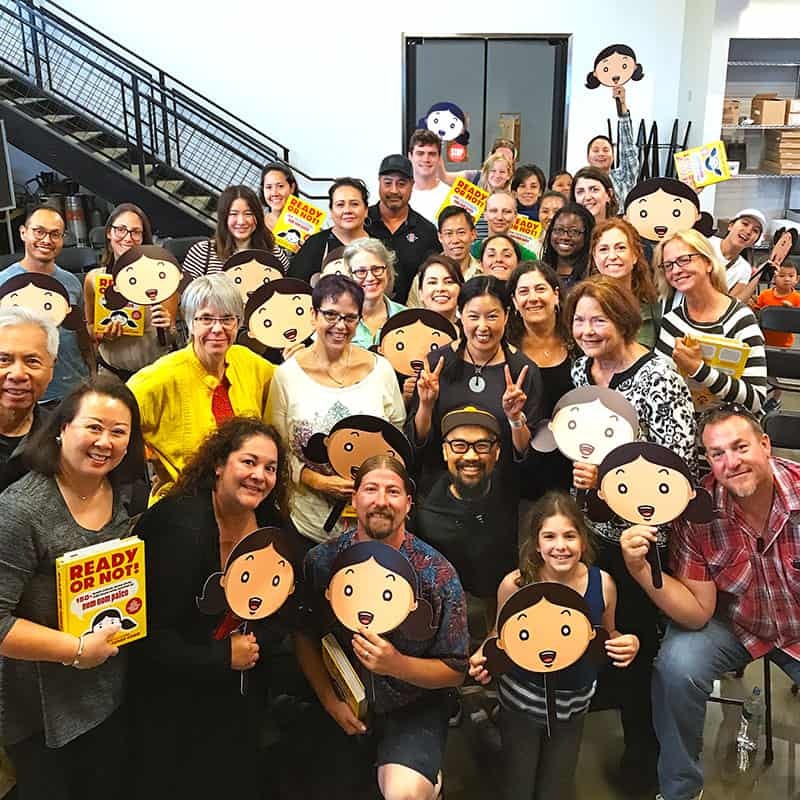 Wednesday, September 26, 2018 – 5:45 p.m.
I’m a featured storyteller at the second annual StorySlam! 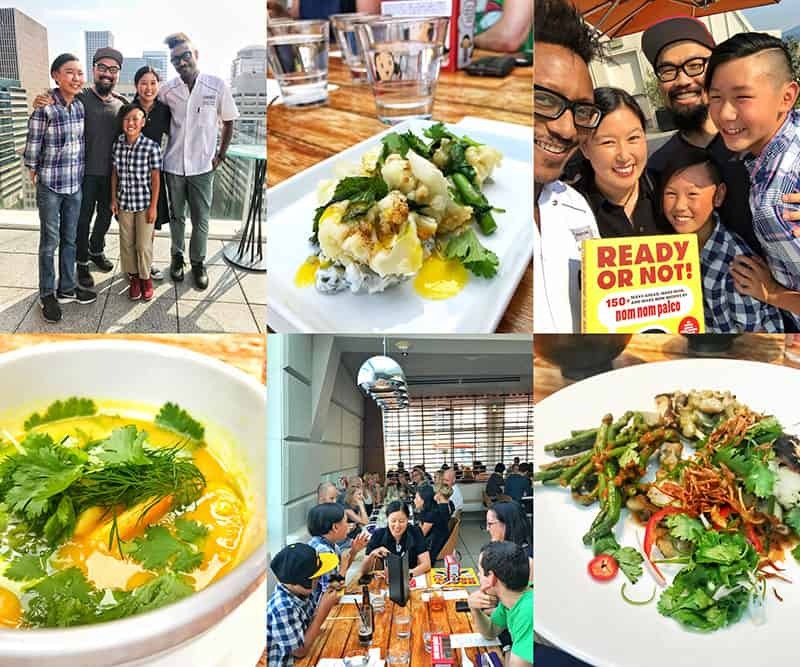 This year’s event, Rooted and Rising, promises to be an evening of delicious food, connection, and powerful storytelling from our Bay Area food community. Come join in the fun and food! Get more info and tickets by clicking on the register button below! People, parties, dinners, and cookies galore—how do you keep your sanity and stay healthy during the most festive (and hectic) time of year? Clean-eating your way through November and December is easier than you think. Join me and my BFF, Diana Rodgers, RD, LDN, NTP—trusted voices in mindful eating, real food, and sustainable living—for tips and tricks on how to enjoy the holidays without sacrificing your health and happiness. What to do after the holidays to stay or get back on track. You don’t need to call yourself paleo to enjoy this low-stress approach to healthy eating. Leave with crowd-pleasing recipes and practical tools to thrive during an otherwise crazy time of year.